A billboard adverts Chrysler car in Beijing, China. 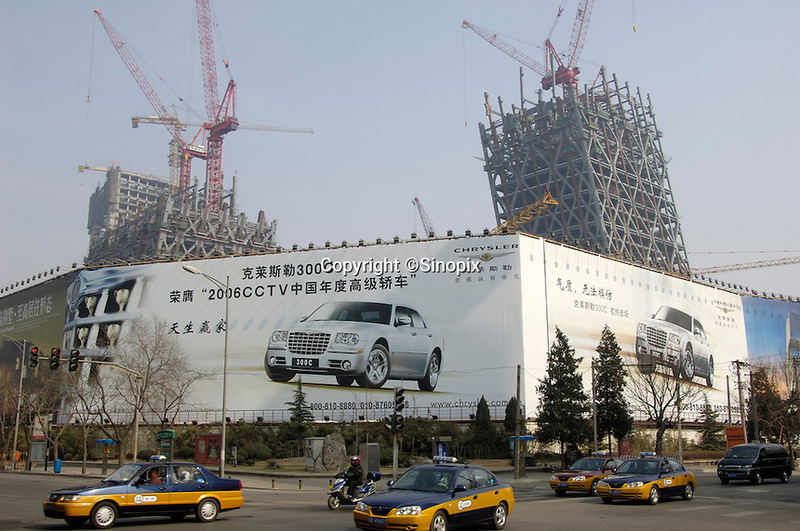 Behind is the new headquarters for China Central Television (CCTV) under construction in Beijing, China. .